For my luxury items, can I have a shiv? And for my book, ‘Shivving for Dummies’? Give Matt Leacock his due credit – he can wring more playable iterations out of a game concept than any other designer I know. He has taken a core ‘collaborative despair escalation’ engine and turned it into Forbidden Island, Forbidden Desert, and Pandemic. It might have made its way into more of his games but I haven’t played those to comment. Still, once you layer in Pandemic: Iberia, Pandemic: Reign of Cthulhu, Pandemic Legacy and so on it’s clear that the man knows when he’s on to a good thing. The interesting thing about this though isn’t the rampant self-plagiarism, but instead that the games are meaningfully different. They form a spectrum of complexity, giving three distinct experiences that all have the same basic flow and sense of play. It’s not a bad thing by any stretch of the imagination, but it does mean that this review is a little redundant. 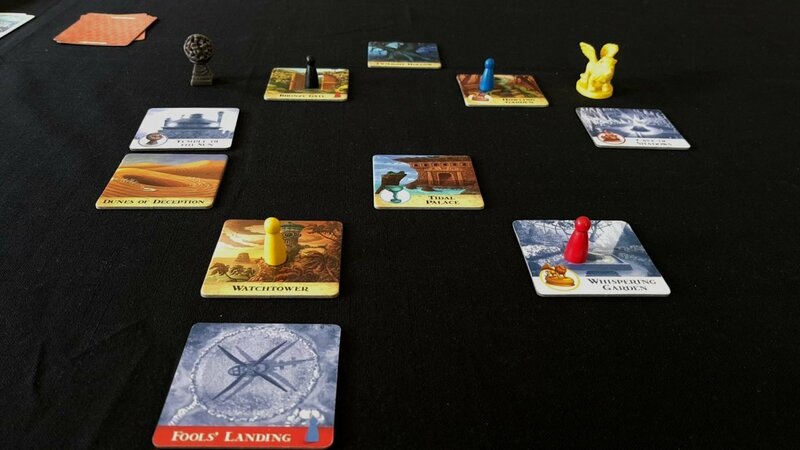 You can just go and read our thoughts on Forbidden Desert and Pandemic. 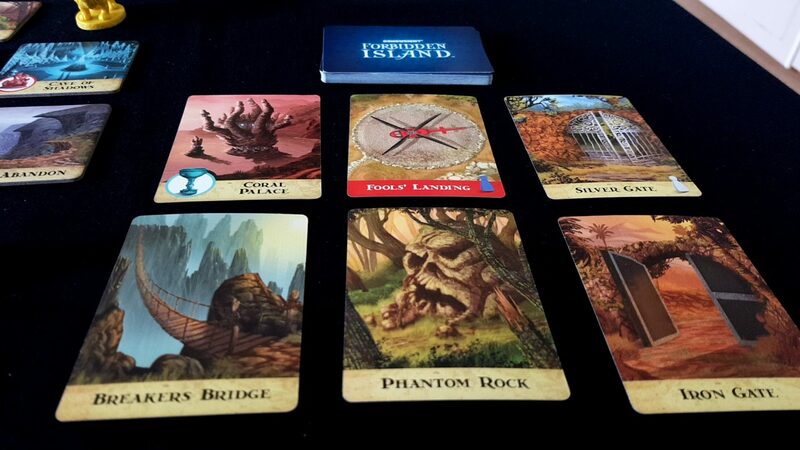 Forbidden Island is like those, but a bit simpler. I’m sitting here though with shelves buckling under the weight of unplayed games and no time currently to become familiar enough to review and teardown. 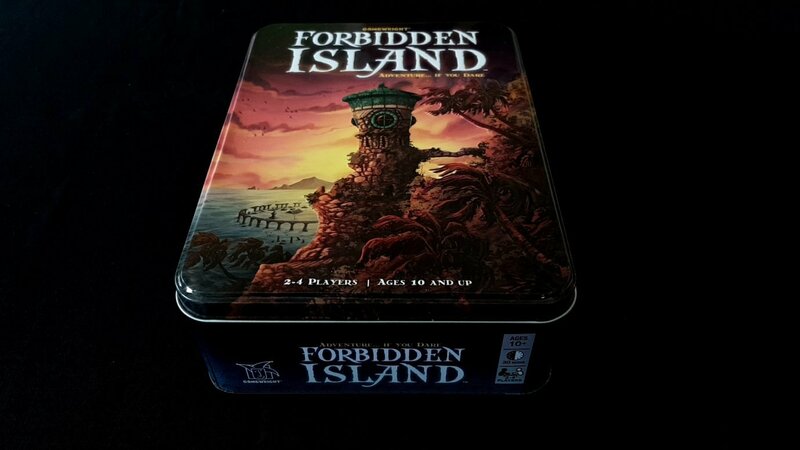 So, to buy me a little time let’s talk about Forbidden Island. 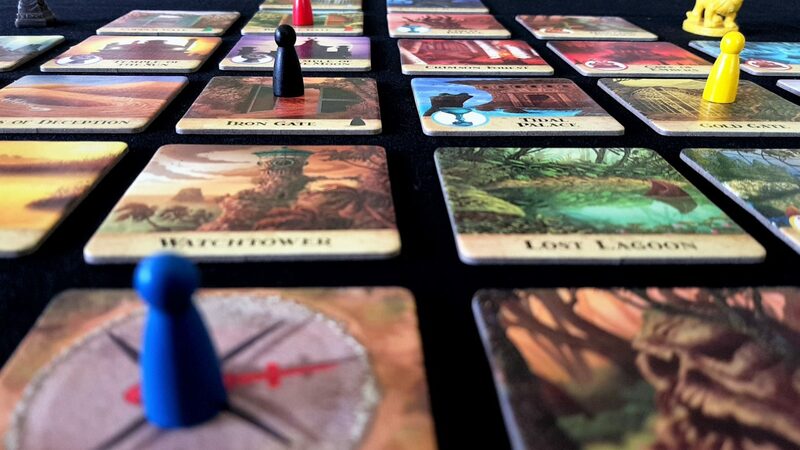 We play the role of adventurers raiding an island for its cultural treasures. We’re a team of ‘archaeologists’, roaming the mysterious places of this forgotten land, undoubtedly with the intention of returning the artefacts we find to the rightful authorities. We’re poking around the dusty nooks and moist crannies of this place when we notice something slightly alarming – the island is sinking oh God it’s sinking it’s sinking so fast you guys we’ve got to do something oh God. Clearly we either have the worst luck of any tomb raiders in history or our inexpert prodding has brought on a geological reaction on a catastrophic scale. Whatever the cause, we have to get out now before we all perish in a watery grave. We’re not leaving though without something to make the trip profitable – we’re going to plunder this island or die trying. We’re not entirely at the mercy of the waters though – we’re skilled and resourceful, and possessed of the imprecisely defined ability to ‘shore up’ parts of the island as it sinks. I’m not 100% sure what this thematically involves so I like to think it’s frantically bailing out the water with a hilariously small bucket. However we do it, we can use that ability to delay the inevitable. Parts of the island will flood, and if they flood again they will sink. We need to keep shoring them up and removing the waters that have accumulated. All the while, we’re trying to find and bring together clues as to how we might access the lucrative objects of our quest. Each of us takes on a role which gives us a special power. These powers let us either manipulate pawns on the map or optimise our abilities. The pilot can fly to any tile on the island, for example. 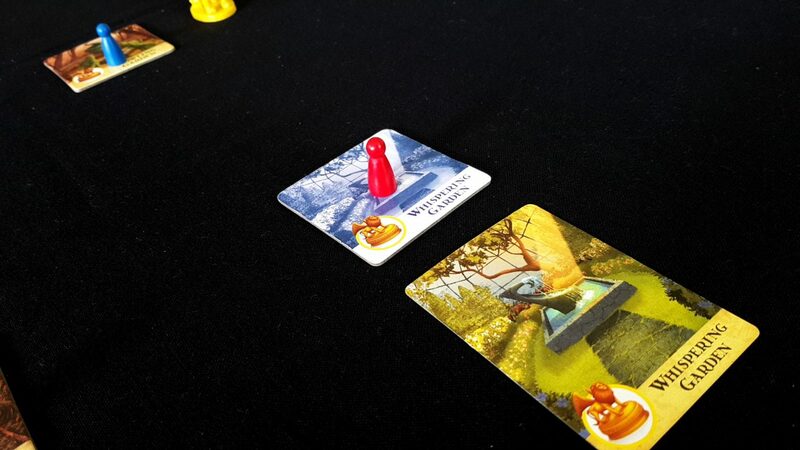 The engineer can shore up two tiles for every action the player is willing to spend. The explorer can move diagonally, and so on. 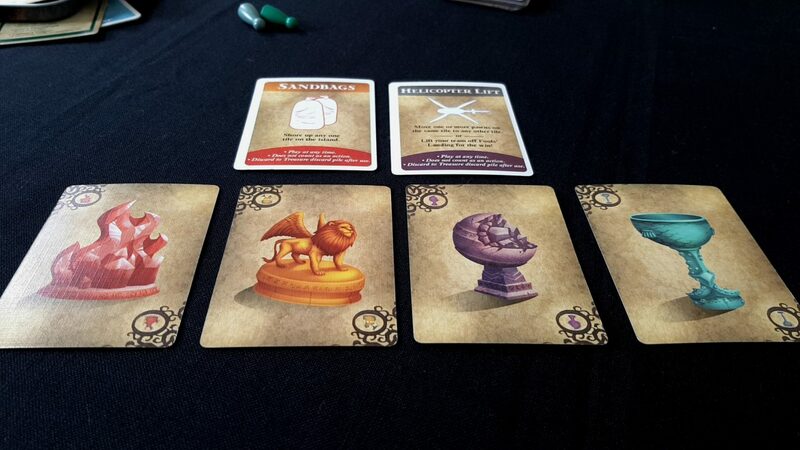 Claiming a treasure, if you have four matching treasure cards and are on the correct tile. Forbidden Island is part reactive simulation of climate change and part set-collection within spatial constraints. It’s not only time consuming to transfer cards to another player, it’s also geographically awkward. If that wasn’t bad enough, it’s also a balancing problem because you have a viciously austere hand limit of five cards and you need at least four matching cards to claim a treasure. There is a lot of juggling involved in doing this, and you’re doing it against an unfixed time-limit that escalates in severity every turn. Forbidden Island is an incident pit and we’re all trapped within it. It’s lovely here this time of year. The island is made up of a number of randomly dealt non-contiguous tiles. These each have a flooded and un-flooded side. Flooding and shoring up is done through flipping the tile to the appropriate face. 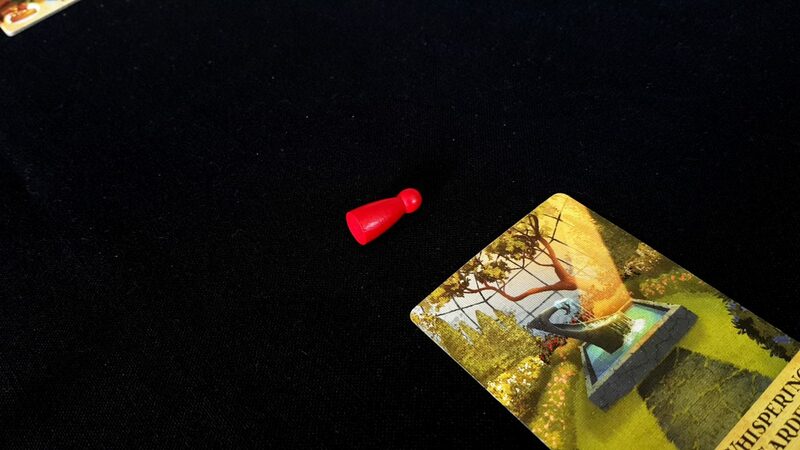 However, when a flooded tile is flooded once more it and its associated card are removed from the game. You don’t want that to happen, but you’d best make your peace with it because it’s gonna. When one island tile disappears the odds of flooding every remaining tile goes up, ramping up the pressure and ratcheting up the inevitability of failure. This is the point where we slip from ‘minor incidents’ into ‘emergency’, and the sides of our incident pit get ever steeper. That would all be bad enough but seeded through the treasure deck like land-mines in a war-zone are several waters rise cards. When we encounter them, we take the cards we’ve already used to flood the island, shuffle them, and place them on the top of the floor draw pile. If that sounds a lot like Pandemic’s epidemic system that’s because it’s exactly the same thing with exactly the same game impact. This system preferentially focuses flooding on the areas that have just experienced it most heavily. There are part of the island that will remain dry as a bone until the end-game, and others that you will constantly be trying to shore up again and again and again throughout the course of play. It’s a genius mechanic, just as clever and as mean and as deadly here as it is in Pandemic. In the pit, this is where fear turns to panic. Is this it? Bring it on. We don’t even get the luxury of beginning the game when the island floods. We begin shortly after, when we’ve actually started to notice it. Six tiles begin flooded, and as the game starts off it will be laughably easy to keep the island relatively dry. So easy that we will likely become complacent. The pit is ahead of us. We’ve been warned it’s there, but we’re going to enter it anyway. We’ve each got three actions, and we can shore up our own tile or any adjacent one. With four people, you’ve got enough action points between you to deal with whatever the island throws at you. 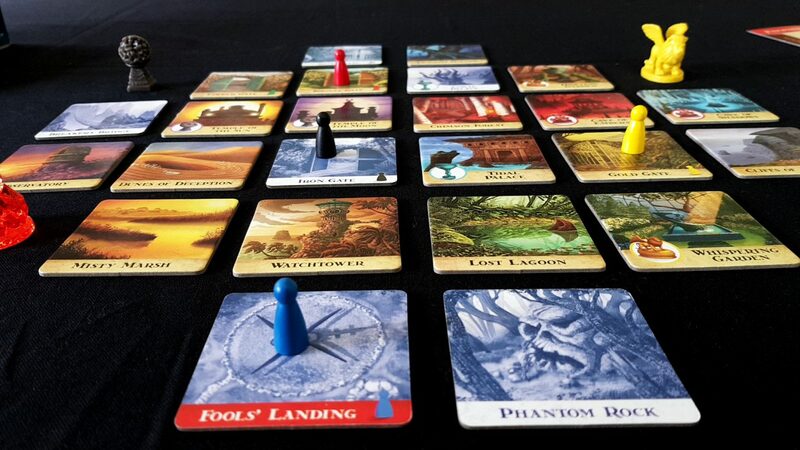 You’ve got a water level marker that shows how many cards we draw during each flooding phase and unless you’re feeling super confident when setting the difficulty you’ll only be drawing two at a time. True, you draw those after every player but you might well think three action points would buy a lot of peace of mind. And you’re right. For a while. 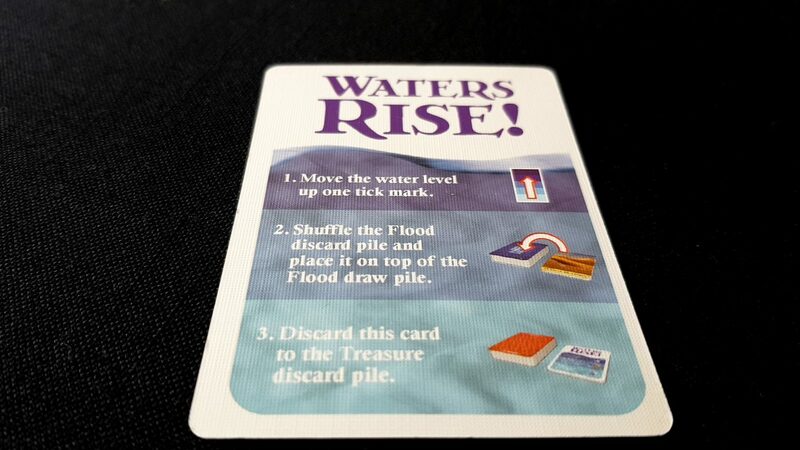 The key effect of the waters rise card is not just to increase the difficulty by edging you into larger and larger card draws. It’s to create genuinely spatially explicit risk. You could shore up the island perfectly – if the waters were distributed roughly evenly. 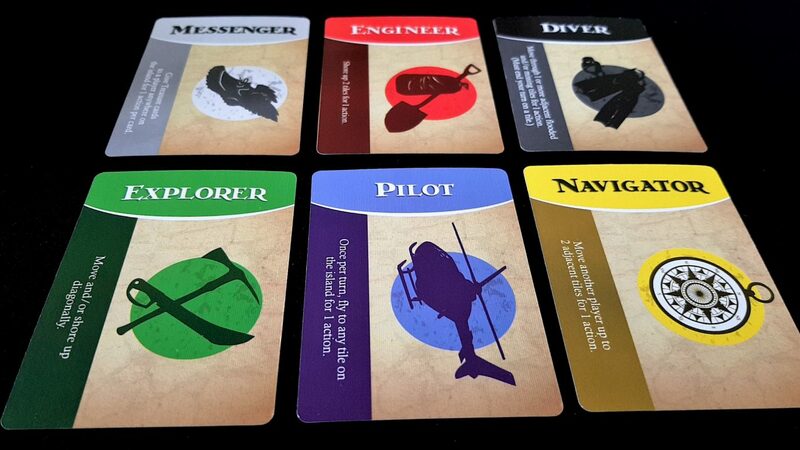 The waters rise cards create geographic necessity by focusing the risk. When they appear late the deck, you can breathe a sigh of relief – the larger a discard pile you have the more effectively the probability of flooding is spread. If it happens early, the more pointed the risk becomes. You know what tiles are at risk but that doesn’t necessarily do much to solve your problems when you draw a rising card before a flooding. Some tiles are absolutely more important than others. Some are starting tiles which determine where particular pawns begin. Nobody cares about those – they serve their purpose when the game starts and don’t matter a lick after that. Some are just scenery – the Misty March and the Watchtower, the Cliffs of Abandon and the Observatory. These are beautifully evocative places that will be loss to the world, but ultimately something that can be sacrificed. But then there are tiles like the Temple of the Sun or the Tidal Palace. Each treasure has exactly two tiles upon which it can be claimed. 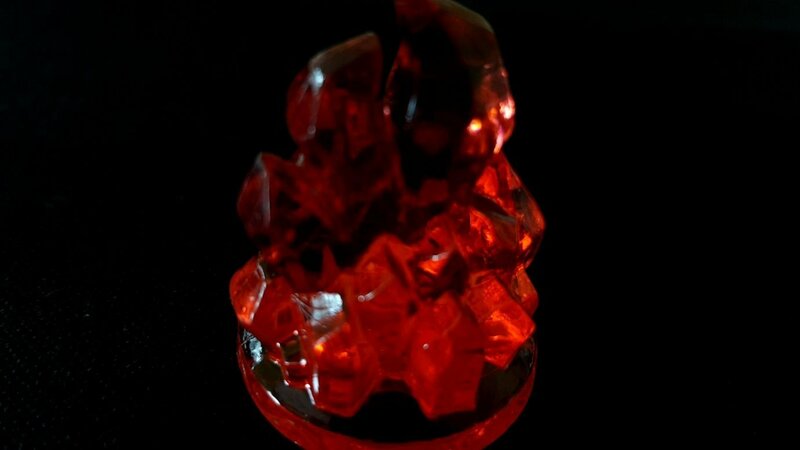 You absolutely have to keep at least one of those available until you’ve safely recovered the treasure within. 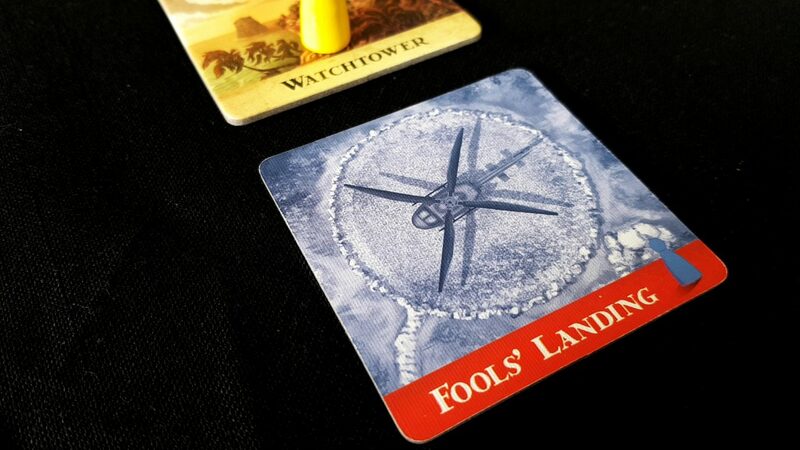 There’s also the aptly named Fool’s Landing. At the end of the game, we all need to get there and use a helicopter airlift to escape. So as long as you keep those un-flooded it’s all going to be fine? No, it’s even worse than that! Some tiles have no intrinsic value, but they represent geographical convenience. Only the diver can move through sunk tiles – everyone else is stuck with their stupid feet on dry land. If there is no route to the key tiles, you’re going to be at the mercy of special powers or airlift cards. That will make the task exponentially more difficult. Not everyone has a useful power and you need to keep at least one airlift card in reserve for when you get to Fool’s Landing. Even if you do have the right blend of skills, they have a proximity requirement in many cases – you’re going to have to stick together at exactly the same time as you want to split up and parallel process your reaction to the cataclysm. Man, let’s go there for date night. Then bam, it’s gone. You remove the tile, and return its card to the deck. Every tile just went from a one in twenty four chance of being flooded to a one in twenty three. Eep. Uh – maybe we can go see what’s on at the cinema instead. And then let’s say you re-flood the Temple of the Moon. Suddenly you’ve only got one location where you can claim the Earth Stone, and a one in twenty-two chance that will be the next card drawn. Eep again. I parked my car somewhere on this island. I guess I can just get another one. And every turn it’s getting more dangerous. If a tile containing a pawn sinks, the pawn can swim to an adjacent tile. If there isn’t an adjacent tile, they drown. The game is over. If the last tile you can use to claim a treasure sinks before the treasure itself is claimed, it’s game over. I’m sure it’ll be fine, but are we really drawing four cards from a three card deck? I hope you brought your water-wings because you’re going to be here a while. But it’s named after me! You’ll likely be pretty laissez-faire about the first few tiles that disappear. Some of them will be left to sink as a result of forward-thinking strategy. Some you won’t have a chance to save because you were forced into some other course of action. Whenever Fool’s Landing floods, after all, you’d best get there sharpish because a single waters rise card can end you the game. Best to focus on what matters. But after a while the flood deck dwindles from a hefty wedge of cards into a dribble of three or four. If you’re drawing four cards per turn from a three card deck, every single turn a new tile is going to flood, and then sink, before you can do anything about it. Do you fancy your chances at this? Even on the novice levels it can be fiendishly difficult. You don’t have actions to waste, and every time you work together to trade cards and claim treasures it’s going to come at the cost of allowing the island to sink a little bit farther. But if you all focus on shoring up on the other hand, all you’ll do is delay the inevitable. It’s not as if you can win against the inexorable assault of the ocean – every time the treasure deck runs out, you shuffle the discard pile, including the waters rise cards, and begin a new one. When the waters rise too far, you lose. Is it worth getting Forbidden Island? Well, that answer depends on what’s already sitting on your shelves. 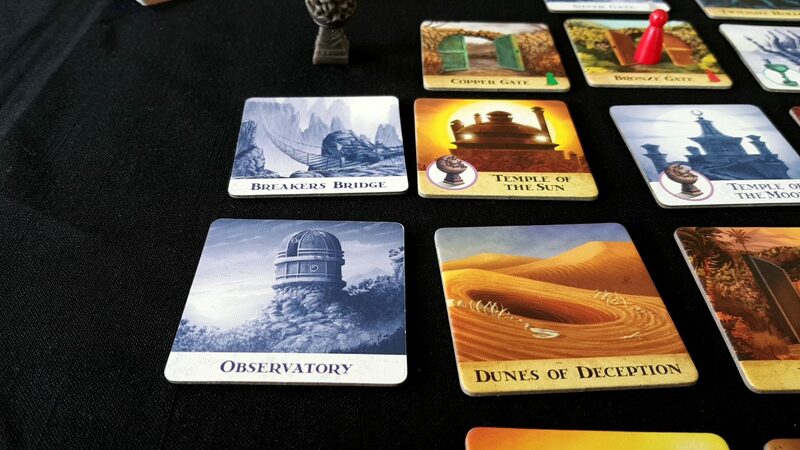 I’d say any game collection should have one of Forbidden Island or Forbidden Desert. I think both would be redundant for most players. It’s not that they are the same game, but they do have dramatic overlaps in game mechanics, game conventions, and flow of experience. For some, the overlaps are more than offset by the differences. I don’t agree, but I have nothing particularly to gain from arguing the point. They feel too similar to me to justify owning both even though I do. Forbidden Island to me feels more like a sketch than a finished work. That finished work was Forbidden Desert. 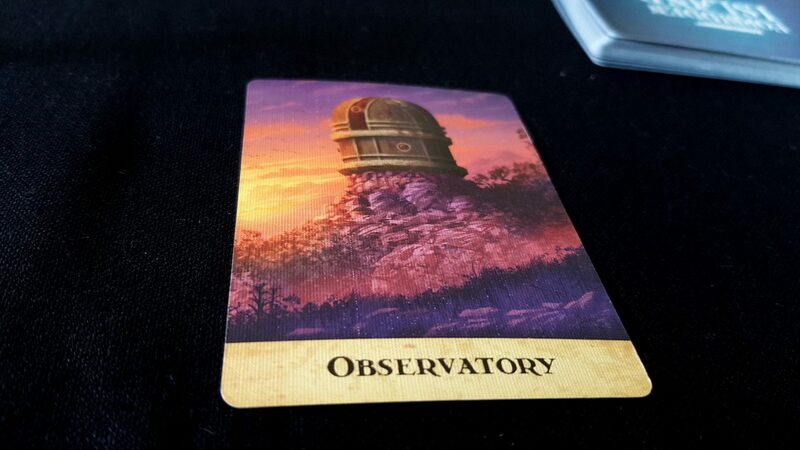 Forbidden Island is a proof of concept that shows there is real value to be had from the idea with some extra development. It’s certainly complete and interesting enough in itself to be a worthwhile game, but it doesn’t have the meat that I prefer to see in my play. 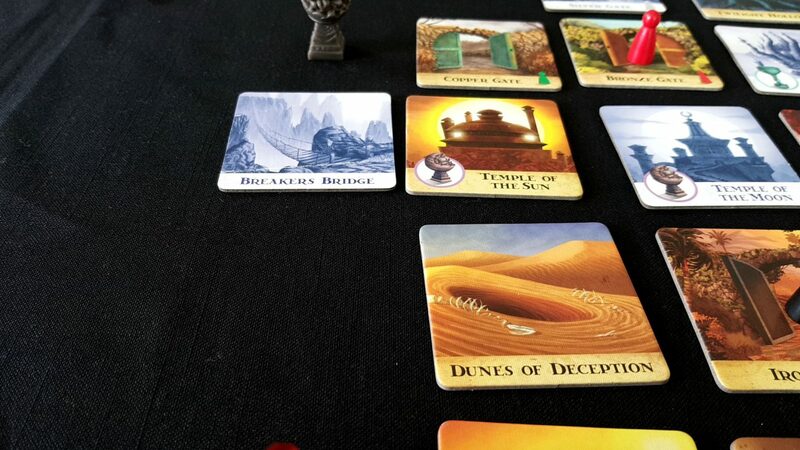 I think Forbidden Desert is the better and more interesting game, but it’s also more complicated than Forbidden Island. 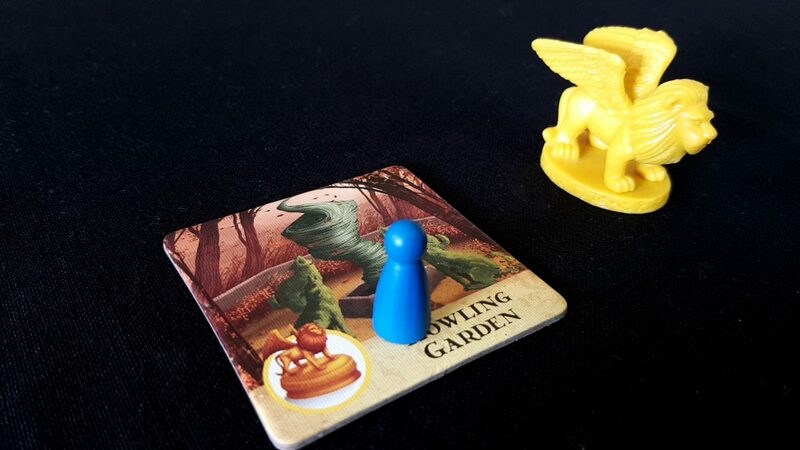 If you don’t fancy the extra mechanical weight that it requires, then Forbidden Island would be the one to grab. Both are fine games, and both scratch approximately the same itch. They’re both absolutely gorgeous, with gloriously evocative art and a naming regime that just drips with immersive world-building. 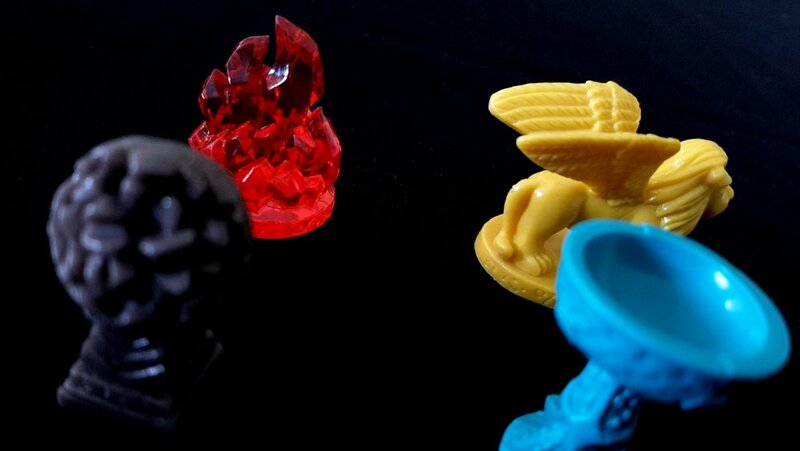 They’re games that flawlessly build a sense of place from the scantest resources. They are both beautifully effective in creating a curve of escalating tension that rapidly overtakes play. 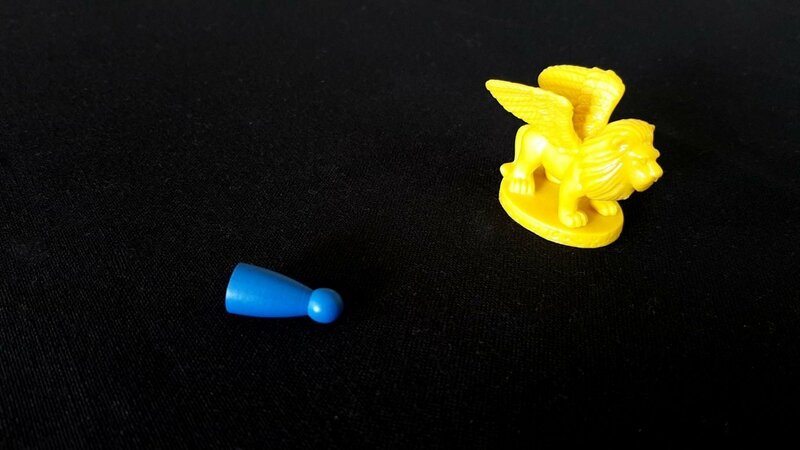 They both offer a deep and involving puzzle of logistics and budgeting, spiced with just enough randomness and uncertainty to keep everyone engaged. And both will leave you begging for mercy, cursing your own hubris, as you drown underneath the accumulated weight of bad decisions and missed opportunities.